I’ve been told (more than once, and by more than one person, by the way!) to STOP calling this picture of my great-grandfather, William Dinwiddie, the “Hot Great-Grandpa” photo. But EVERY time I refer to it as such, EVERYONE knows EXACTLY which photograph I am talking about! I had planned on just writing a few little quips, scanning some pictures, and calling it a day, but Bill Dinwiddie was a fascinating guy. I am at close to four pages and my grandpa still hasn’t been born yet! So, stay tuned. 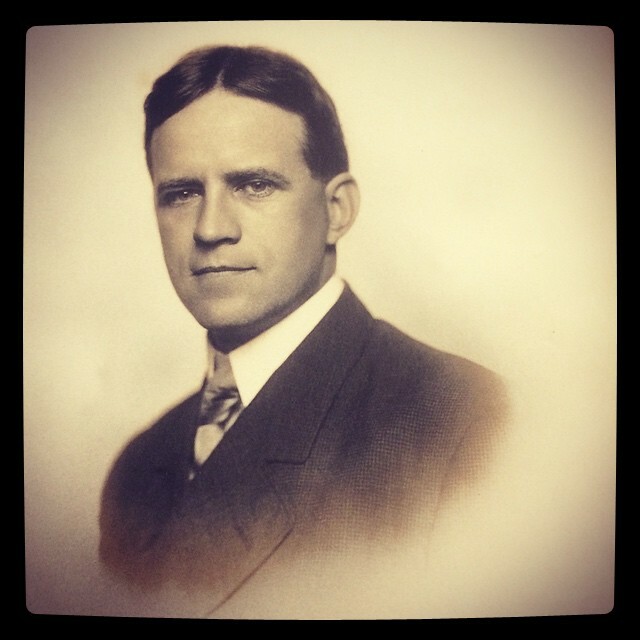 More on Hot Great Grandpa The Dapper and Sophisticated William Dinwiddie is coming soon.